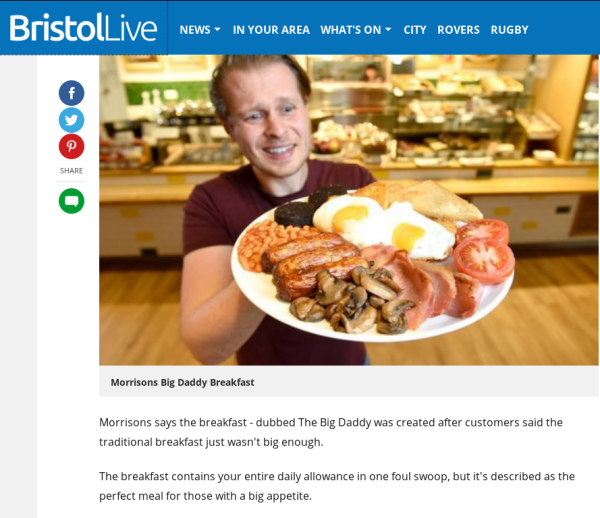 Gloucestershire Live is a sister title of the Bristol Post/Bristol Live and as such provides a similar mediocre quality of journalism to its victims readers. 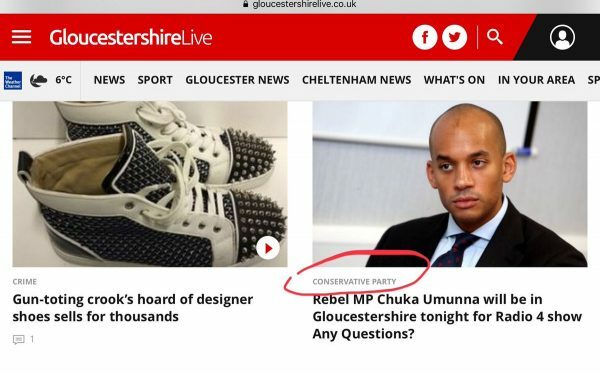 Yesterday, it shook off that veil of mediocrity – albeit briefly – as its website published an item confirming what many believed concerning the main politics news story of the week: the exit of right-wing MPs from the Labour Party to form a breakaway group, as shown in the screenshot below. My Gloucestershire friends have this morning confirmed via social media that as far as the governance of the county is concerned, politics inevitably equals the Conservatives and the Blue Team dominate what is effectively a de facto one-party state. 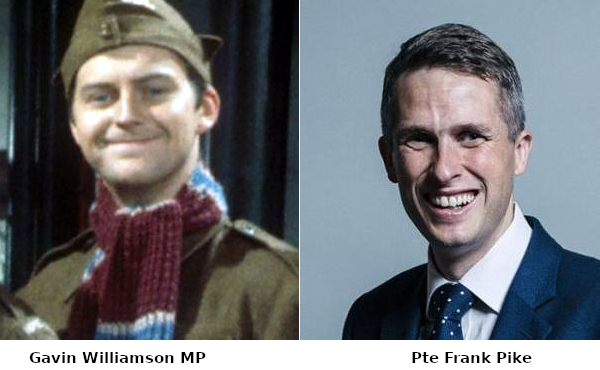 It’s no secret that Gavin Williamson MP, the current Secretary of State for Defence, is nicknamed Private Pike, after Frank Pike, the fictional Home Guard private and junior bank clerk in the BBC television comedy Dad’s Army, who was frequently referred to by platoon commander Captain Mainwaring as “stupid boy“. Young Gavin, who is the Member of Parliament for South Staffordshire, had a real stupid boy moment last week. On Monday, in a gung-ho speech to the Royal United Services Institute, Williamson confirmed that the first of Britain’s next-generation aircraft carriers, the Queen Elizabeth, will tour the Pacific as part of its maiden voyage and that the vessel likely to tour the South China Sea at a time of growing tensions regarding China’s territorial ambitions. Needless to say this has not gone down well in Beijing, resulting in a planned trade visit by Chancellor Philip Hammond being cancelled. You have got the defence secretary engaging in gunboat diplomacy of a quite old-fashioned kind at the same time as the chancellor of the exchequer and the foreign secretary are going around saying they want a close economic partnership with China. The right-wing Telegraph newspaper has enjoyed a long and close relationship with the Conservative Party. So close indeed that it is often referred to as the Torygraph. This close relationship means that developments within the Tory Party are frequently reported first in the Telegraph. It is therefore no surprise that the latest developments on the state of the UK’s Brexit negotiations popped into my Twitter feed this morning with the following Telegraph headline and abstract. Yes, that’s why the negotiations have been so disastrous. 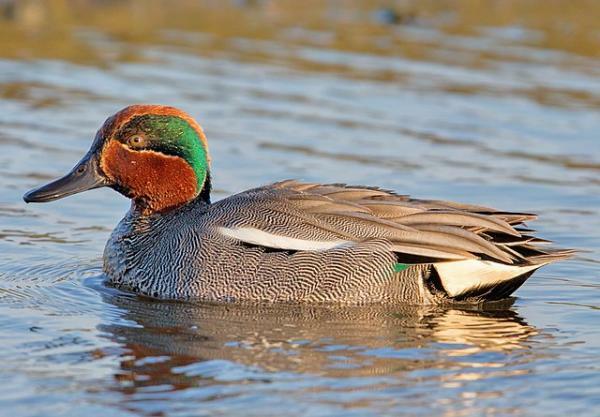 They’ve been handled by ducks, or more specifically a Eurasian teal, a male specimen of which is shown below. 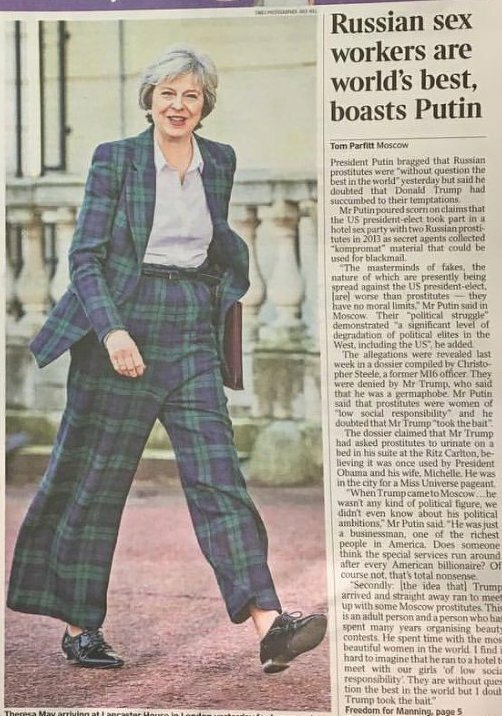 A top international negotiator according to the Telegraph. Photograph courtesy of Wikimedia Commons. How a duck or ducks actually managed to deal with the question of the Irish backstop remains a mystery and is probably why the Tory right wing is so obsessed with it. And quite what a revamped negotiating teal is, one could indulge in conjecture. Was it taken to some backstreet ornithologist and given the plumage of, say, an Arctic skua, together with a bit of beak remodelling? The placing of articles and/or photographs next to each other in newspapers (and on newspaper websites too. Ed.) sometimes has unfortunate consequences and connotations. This is from the Murdoch-owned Times. It’s always good to see Welsh being promoted in Wales. However, it does help if one uses a professional translator and native Welsh speaker before committing any money to doing works on the ground. 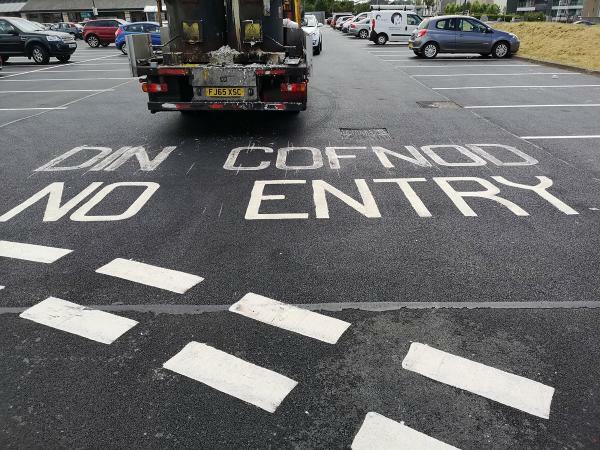 This has clearly not been done by supermarket chain Morrisons with the car park markings shown below at its supermarket car park in Caernarfon. C’mon @Morrisons, sort this out! Your Welsh translates as “Arse record” Correct it as DIM MYNEDIAD. This is not the first time Anglophone companies have treated Welsh – a far older language than English – with the respect it deserves. Last year there was also Santander, which seems to have problems with Welsh customers expecting transactions in the vernacular despite having a clear Welsh language policy. Many of the phrases in common use in English have 2 sources: either the Bible (both the authorised King James version and earlier translations, such as those of Wycliffe and Tyndale. Ed.) and the pen of William Shakespeare. Indeed, some lovers of the English language actually refer to it euphemistically as “the language of Shakespeare” when someone ignorant commits an indignity with it. Today’s online edition of the Bristol Post/Live, the city’s newspaper of (warped) record has not difficulty in mangling some of the Bard of Avon’s actual words. The misquoting of the Bard occurs in a promotional piece advertising a supermarket chain’s substantial breakfast. The piece itself was a cut and paste job lifted from the Post’s Trinity Mirror stablemate, the Manchester Evening News, which itself lifted the item from the Metro, a publication so downmarket its owners the Daily Mail have to give it away. However, neither the MEN nor the Metro saw fit to misquote Shakespeare; that was a solo effort by the Temple Way Ministry of Truth. The breakfast contains your entire daily allowance in one foul swoop, but it’s described as the perfect meal for those with a big appetite. Did you say all?—O hell-kite!—All? “One fowl swoop” is occurs frequently as a variation to the misquotation. Whether Shakespeare actually invented the phrase himself or was the first to write it down is a matter of debate. Even so, Macbeth was written in 1605, so even the Bard’s the phrase dates back over four centuries. The adjective “fell” is archaic, meaning evil or cruel, so it’s unsurprising that it’s misquoted. Moreover, in its context tends to occur in literary works such as J.R.R. Tolkien’s epic “Lord of the Rings” (e.g. fell beasts). This blog has previously documented the carnage on the highways caused by driverless vehicles (posts passim). 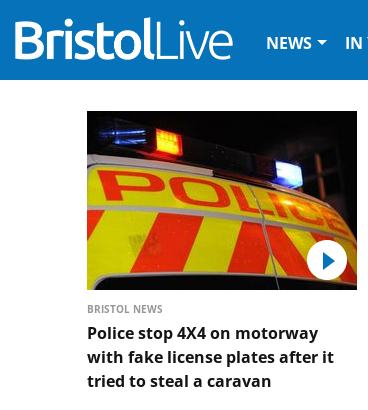 The Bristol Post, the city’s newspaper of warped record, has now discovered that driverless vehicles are not only responsible for so-called “accidents“, but have now turned to theft – or attempted theft – as well. 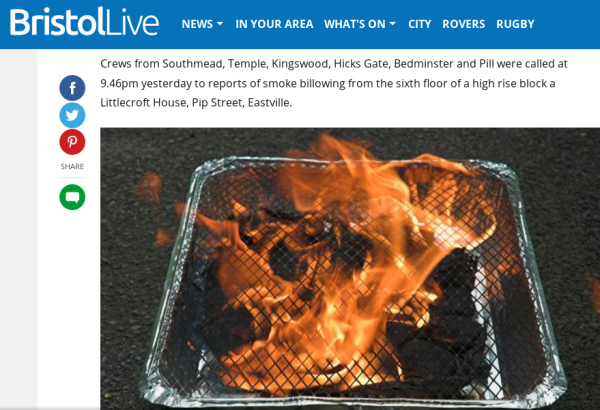 It’s official: the Bristol Post (or is it BristolLive? Ed.) 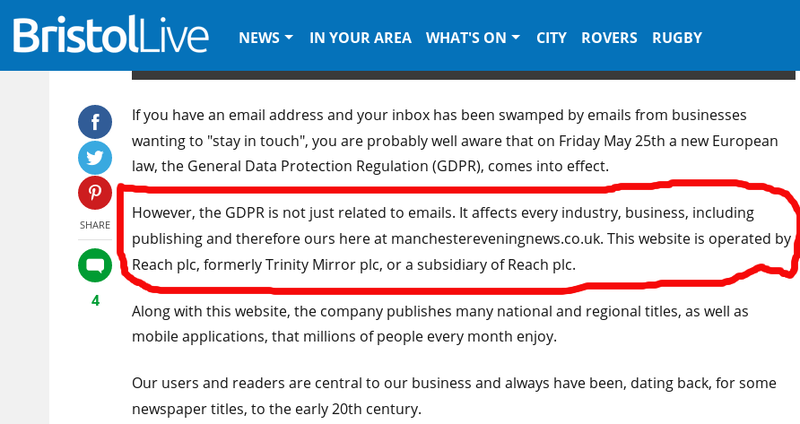 is changing its name to the Manchester Evening News. 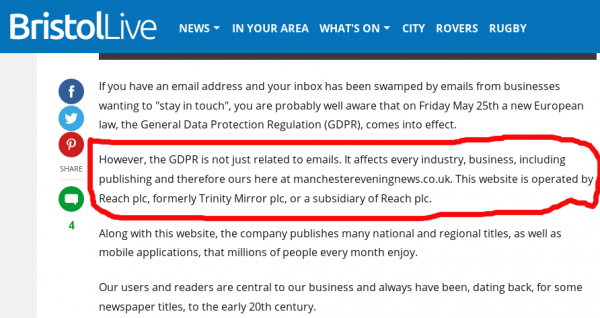 And the revelation comes in a piece from no less a personage than Mike Norton, the title’s editor in chief himself, and is hidden away in the details about the implications of the General Data Protection Regulation (GDPR). The relevant section is outlined in red in the image below. Click on the image for the full-sized version. Whether production of the Post will be moved up north from the Temple Way Ministry of Truth is not mentioned. Is Mike Norton guilty of copying and pasting without checking the actual wording? Although it’s not one of his regular local media reads, your ‘umble scribe might just start visiting the Oswestry and Border Counties Advertizer website more to keep up to date with dynamic, one could even say groundbreaking, developments in use of the English language, if the headline of the report shown below is in any way typical of modern journalism. 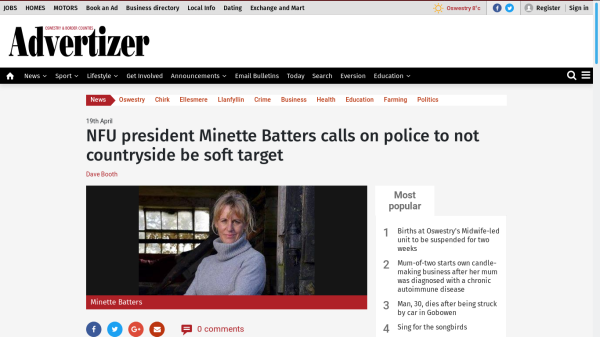 The same piece, by the same author, also appears in yesterday’s Whitchurch Herald, where similar sub-editing skills are in evidence.